Clarets midfielder Steven Defour is expected to miss the rest of the season after having surgery on a niggling calf problem. Defour, 30, has only made nine appearances this term, having returned from a knee operation last January which ended his season and ruined his chances of a World Cup call with Belgium. He has played only twice since the start of December, both times in the FA Cup, before the persistent issue flared up again in training before the trip to Manchester United in January. After seeing two specialists to get to the bottom of the problem, Defour has returned to Belgium for an operation to hopefully sort the injury once and for all. 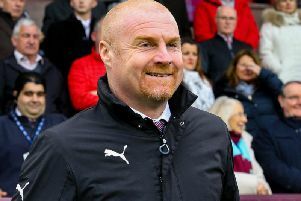 Defour has one year remaining on his Turf Moor deal, but boss Sean Dyche isn’t expecting to see him again until the summer: “Steven has had an operation on his calf to release the calf muscle and it was too tight. “He’s had it done before and that was similar, although different. “He used the surgeon he used before to do that over there. He’s recovering now and we’re confident that will clear the problem up. Defour has made only 58 appearances in three seasons with the club after a then-record £7.5m switch from Anderlecht, but shone in the first half of last season as Burnley established themselves in seventh place, before sealing a return to European competition. Dyche said: “He had the knee last year when he was going so well. “We had that dealt with and the knock-on effect are these little injuries sometimes.